Researchers in New York are taking a closer look at endometriosis. It’s a disease that’s not often talked about, but it affects one in ten women in the U.S., and 176 million women worldwide. Dr. Tamer Seckin, a laparoscopic surgeon and co-founder of the Endometriosis Foundation of America, said women often suffer silently and are not diagnosed right away. Instead, they’re given pain medicine or hormones to help them deal with severe cramps or other symptoms. Seckin said it can take a decade or more for these women to be diagnosed with endometriosis, and that can have serious consequences. “Approximately 50 percent of women with infertility have endometriosis in their background,” he said. That’s why Seckin said early diagnosis is vital. To learn more about the disease, he and other researchers recently began the ROSE project at the New York-based Feinstein Institute for Medical Research. 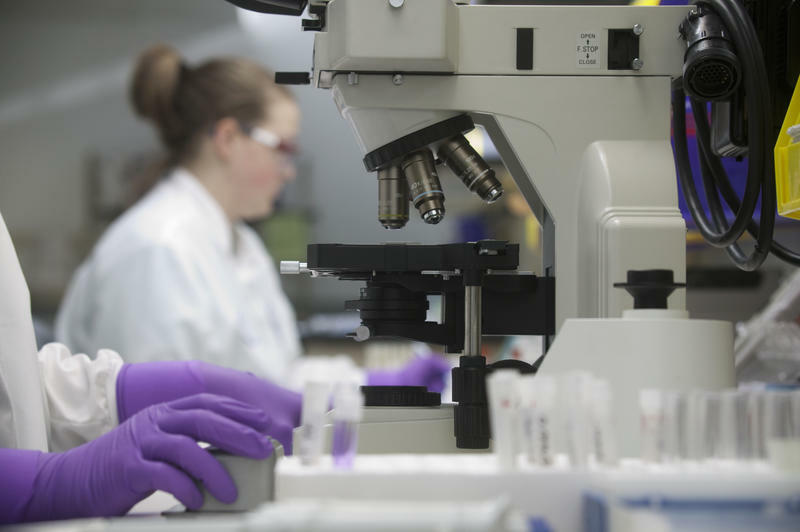 He said it’s the first project in the U.S. to solely investigate endometrial tissue.